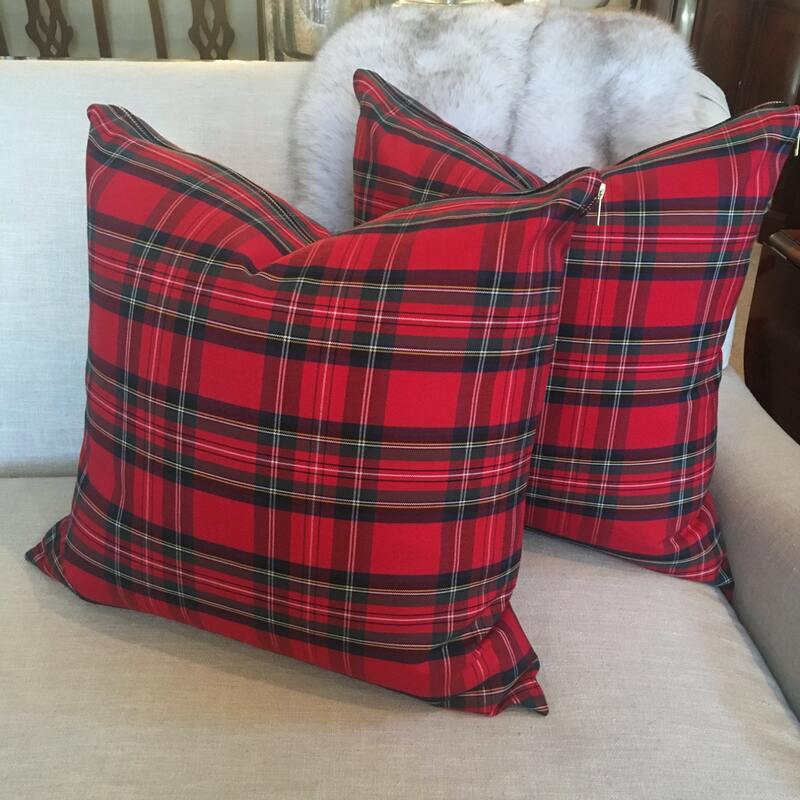 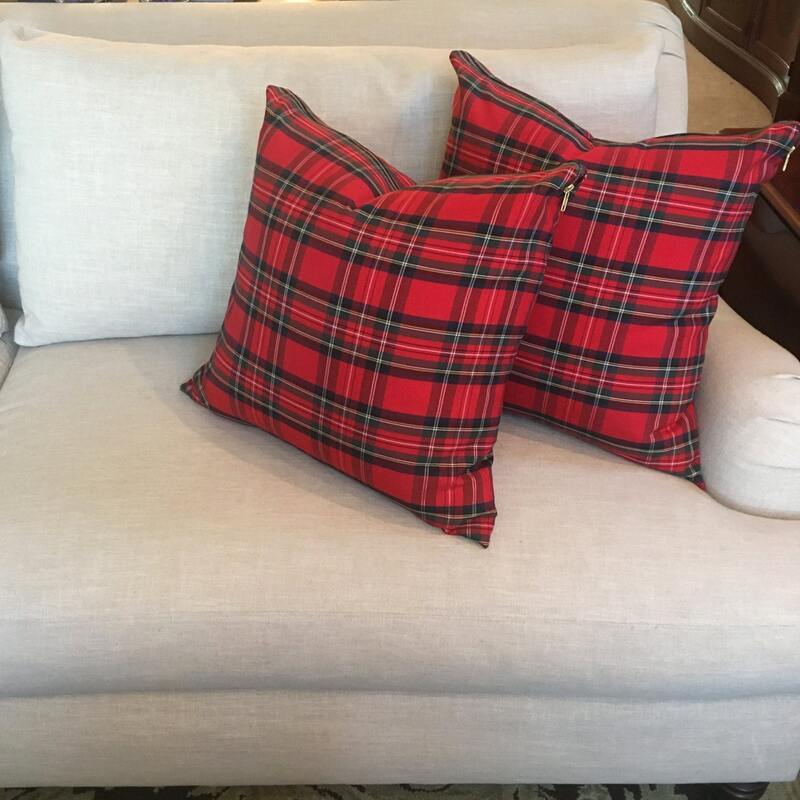 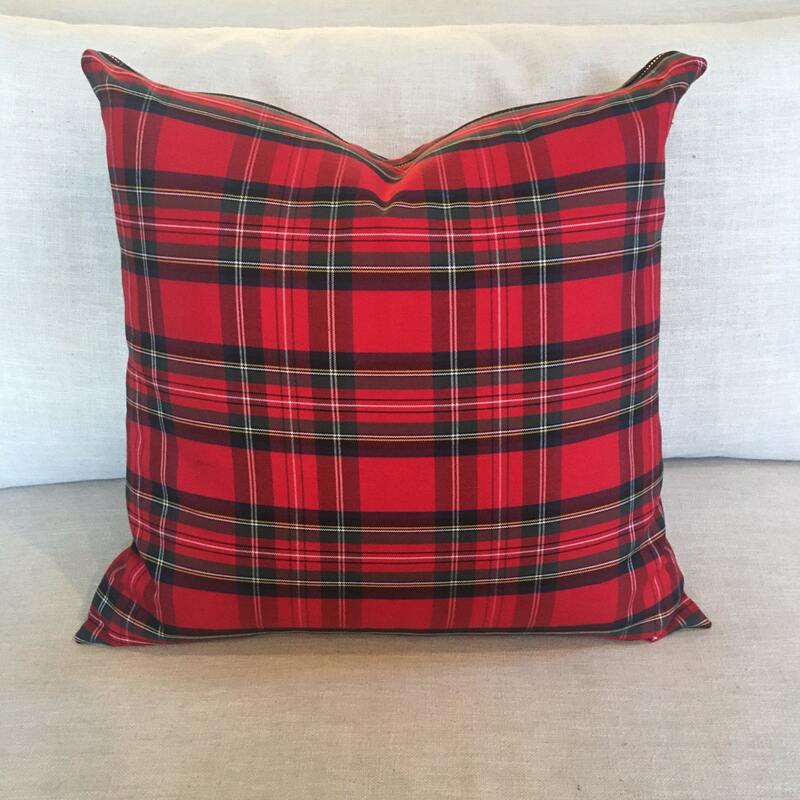 This classic stewart tartan plaid pillow cover brings the spirit of the holiday season to life. 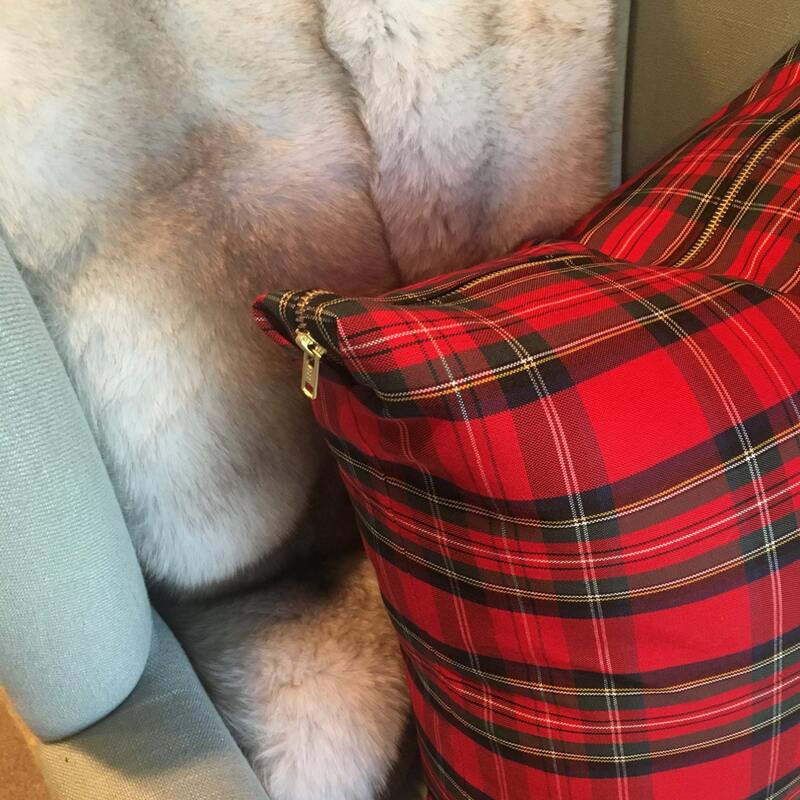 The deep red tones are accentuated by a navy, white, mustard, and forest green patterned weave. 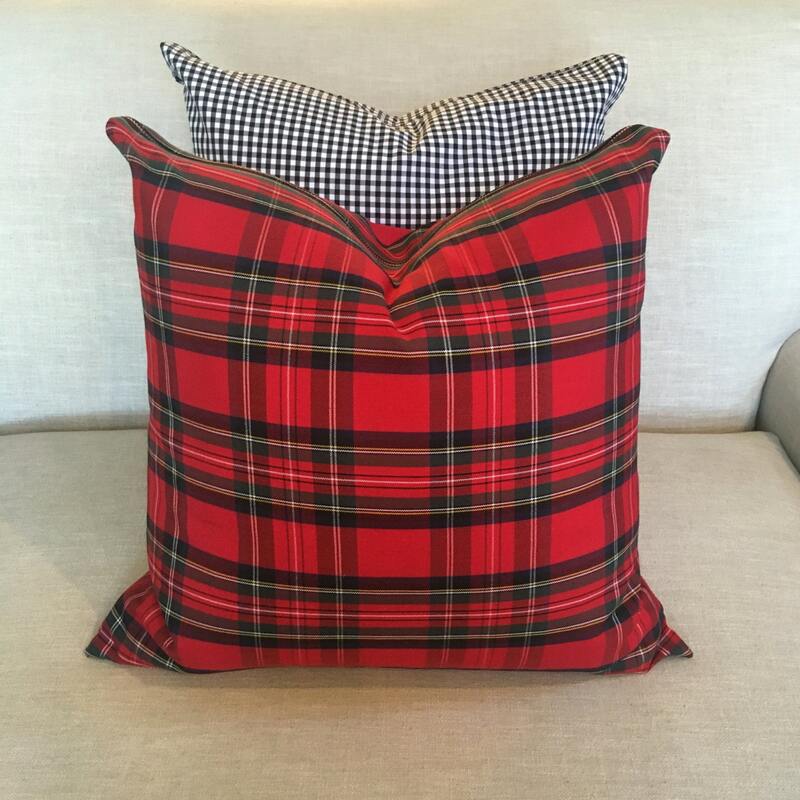 - Available sizes: 20"x20", 22" x 22" (pictured), and 26"x26"